adidas Skateboarding has revealed Daewon Song‘s first signature colorway its adi-ease model. 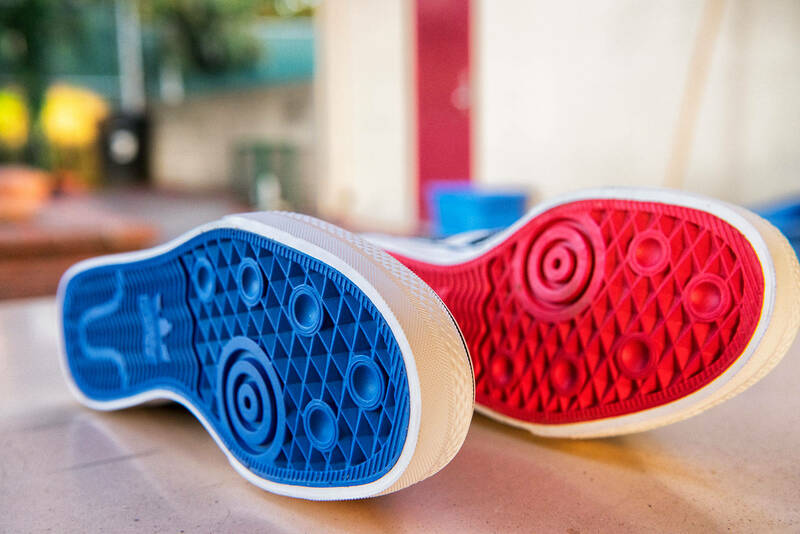 Song has designed blue and red outsoles to represent his Korean heritage and the colors of the Korean flag. With a low profile and black leather upper, the adi-ease x Daewon Song is constructed with the brand’s signature ADITUFF™ in the toe area for abrasion resistance. The molded PU sockliner adds comfort and light cushioning and a grippy vulcanized outsole offers up precision grip and board-feel. Additional customization includes Song’s name in Korean embroidered on the tongue along with contrasting red and blue insoles and lace tips. The adi-ease x Daewon Song is now available at specialty adidas retailers in the U.S. The adi-ease x Daewon Song retails for $65. Stay tuned in the coming weeks for more news from adidas Skateboarding and Daewon Song!